Cheryl Lundstrom, 68, of Mandan, passed away March 26, 2019 at CHI St. Alexius Health, Bismarck. 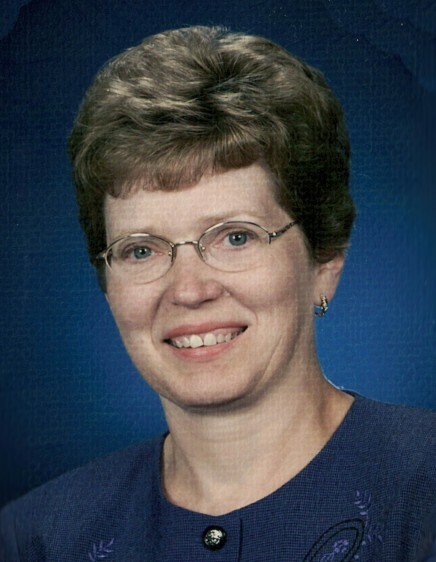 Service to Celebrate the Life of Cheryl Jean (Ackerman) Lundstrom will be held at 11 AM on Friday, March 29, 2019, at First Lutheran Church, Mandan, ND with Rev. Lee Herberg officiating. Burial will be at Mandan Union Cemetery following the service. Visitation will be held from 5:00-8:00 PM on Thursday, March 28, 2019, at First Lutheran Church, Mandan with a Prayer Service at 7:00 PM. Visitation will continue one hour prior to the service at the church on Friday. Cheryl was born August 6, 1950 at the Bismarck Hospital, to Theophile and Viola (Goeringer) Ackerman of Linton, North Dakota. She was the 5th of 8 children. She grew up on the family farm 5 miles NE of Linton. She attended a one room country school before transferring to a public school in town, graduated from Linton High School 1968. She attended BJC for one year. She was confirmed at Peace Lutheran Church in Linton 1965. After attending Bismarck Junior College (BSC) she worked at MDU for 7 years. Cheryl started working at Mandan Abstract & Title (North Dakota Guaranty & Title) in 1977 where she worked up until the time of her death. Cheryl met the love of her life Laurel Lundstrom, they were married May 20, 1972 where they spent the last 47 years together in Mandan. Together they had three children, daughter Georgia, son Jeffrey and son Blaine. Cheryl was a quiet, gentle and shy person with an amazing smile and a kind heart. Beloved daughter, wife, sister, mother and grandmother. She leaves behind her husband Laurel; daughter, Georgia Hust (Keith) of Mandan; sons, Jeffrey (and special friend Nicki Kessler) of Mandan and Blaine (Liz) of Mandan; one granddaughter, Nicole Hust; four grandsons, Brendan Hust, Conner, Trent & Christopher Lundstrom; her mother, Viola Ackerman of Bismarck; her brothers, Verlyn (Sue) Ackerman and LaVerne (Lynell) Ackerman, both of Minneapolis and Harlan Ackerman of Bismarck; three sisters, Renee (Joseph) Friesz of Mandan, Shirleen (Jack) Piela of Denver, and JoAnn (Steve) Olson of Arvilla ND; her special cousin, Carlyle (Linda) Will of Linton; her special friend, Wanda (Myles) Stoller of Carson; and numerous nieces and nephews. Cheryl is also survived by Lonnie (Delores) Lundstrom, LeRoy (Jean) Lundstrom, Leila Joyce, Linnea Reeves and Lola (Mark) Kostelecky; as well as her co-workers. Cheryl is preceded in death by her father, Theophile; brother, Marlowe, grandparents David & Rosina Ackerman, Edward & Emma Goeringer; grandchildren, April Lynn Hust, Joshua Alex Hust; and in-laws, Loraine & Alice Lundstrom. Cancer was discovered December 2018 and it claimed her life 15 weeks later. Thank you to the CHI & Mid Dakota Clinic staff that cared for Cheryl. Special thank you to Benji Kitagawa & the support staff at the ER at CHI. Cheryl will be greatly missed.